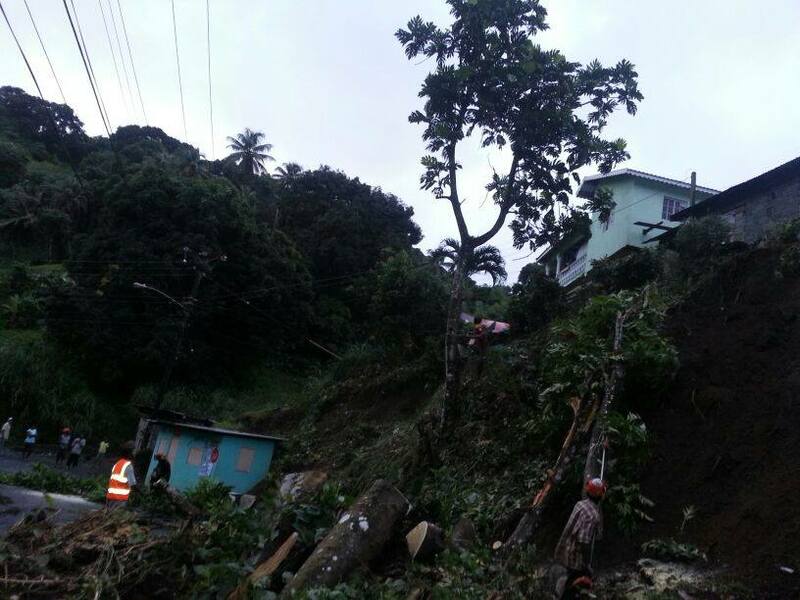 Seven people are dead – five from one family – nine families are homeless, and houses, roads and bridges have been damaged after heavy rains drenched St Vincent and the Grenadines on Christmas Eve. Prime Minister Dr. Ralph Gonsalves is cutting short a visit to Europe and is expected back home tomorrow as the death toll from the rains over the past 48 hours increased. A brief statement from the Office of the Prime Minister said that Gonsalves, who had gone to Rome and met with Pope Francis and was spending the Christmas holidays in London, will now return tomorrow instead of his original date, December 28. Emergency rescue teams said they had recovered seven bodies so far and that three other persons were missing and feared dead from the rains that had been associated with a trough that was also affecting other Caribbean countries, most notably Dominica and St. Lucia. Five people from a family in Rose Bank died in a landslide while another person in Byera died. The seventh victim came from Vermont. Among the bodies recovered were those of a two-year-old baby boy and his 18-year-old sister. One man said his eight-year-old daughter who had gone visiting her mother had also been swept away by the floods and one female employee of the Buccament Bay Resort was reported missing as employees attempted to cross the bridge leading to the village. Parts of North leeward on northwestern side of St. Vincent, where five people died, remained cut off from the rest of the island. The Paediatric Ward at the Milton Cato Memorial Hospital has been flooded and heavy flooding was also reported in other parts of the capital, Kingstown. Half of water consumers on the mainland are without pipe-borne water as heavy rains have impacted the network. Clean up operations are continuing at the flooded E. T. Joshua Airport which is scheduled open at 3 pm. One emergency shelter has been activated and 27 people from families are being housed there. The Building Roads and General Services Authority (BRAGSA) and the Ministry of Transport and Works have reported several bridges and roads flooded and are continuing their assessments. The National Emergency Operations Centre (NEOC) remains activated and a number of key agencies and volunteers are involved in the operations. 🙁 such a sad event. My thoughts and prayers go out to those family’s and everybody in St Vincent. Now this is what you call a tragedy.